There's support for Bluetooth and AirPlay in addition to Yamaha's own technology, but is it better than Sonos? This review covers Yamaha’s MusicCast multi-room audio ecosystem in three parts: the MusicCast ecosystem as a whole (the topic of this story), my hands-on review of Yamaha’s YSP-1600 sound bar, and my hands-on review of its WX-030 powered bookshelf speaker (Yamaha sent one of the former and two of the latter, so I could test a multi-room configuration). I’ll make comparisons to the Sonos multi-room audio system throughout all three stories, because Sonos is the 800-pound gorilla in this space. 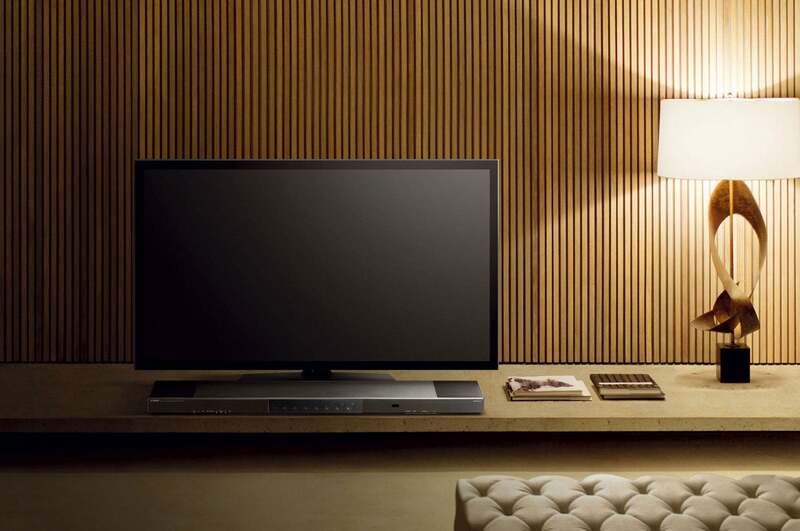 Yamaha is building a comprehensive multi-room audio system with MusicCast. 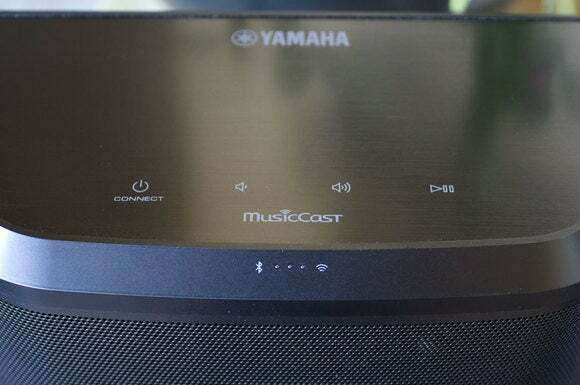 In addition to the powered speakers reviewed here, MusicCast is embedded into more than 15 of Yamaha’s other audio components, including its SRT-1500 speaker base (it fits underneath your TV, instead of in front of it), the YHT-5920UBL home theater in a box we recently reviewed, and a number of the company’s A/V receivers. 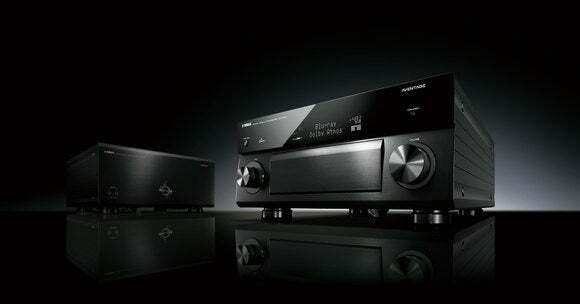 Yamaha will eventually embed MusicCast in its high-end Hi-Fi separates, too. 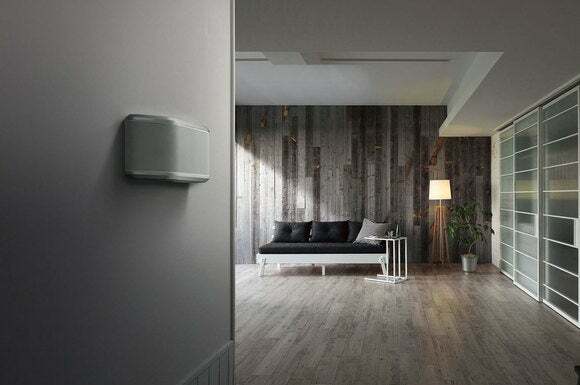 Unlike a Sonos system, which operates its own proprietary wireless network (provided you have a Sonos bridge or hardwire one Sonos component to your router), MusicCast relies on your Wi-Fi router for connectivity. But if you prefer, you can also connect any of the components to a wired network, as each device has an RJ-45 jack to accommodate an ethernet cable. Yamaha’s MusicCast app is very easy to master. 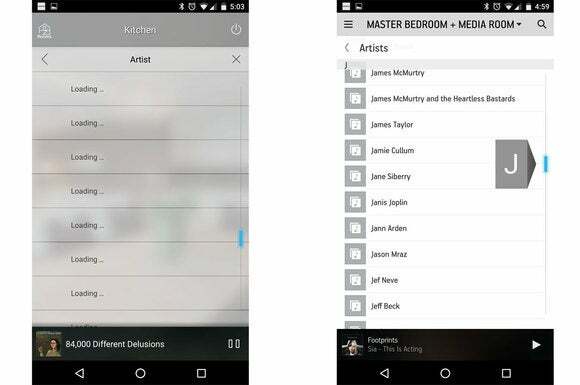 You use Yamaha’s MusicCast app—there are versions for Android and iOS—to connect and control each device. I used the iOS version on an iPad Air and the Android version on my Nexus 6P smartphone for my tests. Setting up multiple devices is relatively easy: While running the app, you join your mobile device to the wireless network created by the MusicCast device. Once that connection is established, the second step is to join the speaker to your Wi-Fi network by choosing its SSID and providing the network password. 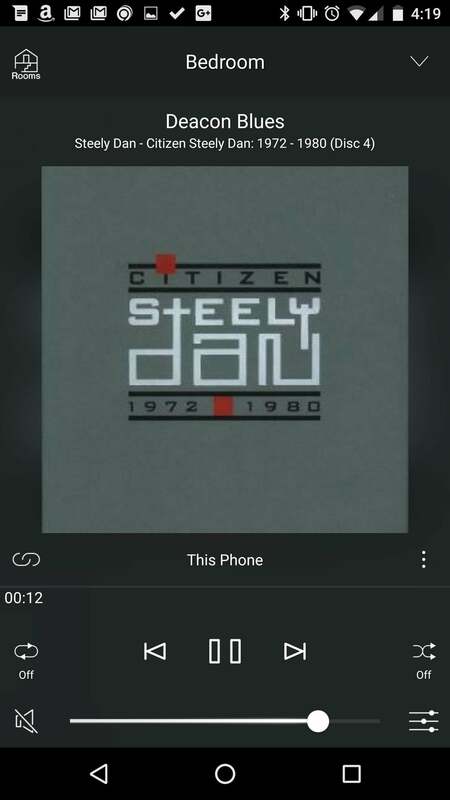 If you’re streaming to a MusicCast device from a Bluetooth source, such as a phone or a tablet, you can play that music on multiple MusicCast devices at the same time. When I streamed music from my phone to a MusicCast WX-030 in my kitchen and then linked that speaker to the YSP-1600 in my home theater and a second WX-030 in my master bedroom, the music remained well-synched for a while, even when I moved the phone far from the kitchen. But once I’d moved far enough away for the Bluetooth signal to drop for an instant and then resume, the speakers fell out of sync and never recovered—I had to stop the stream and start over to preserve my sanity. Yamaha also does not support the AptX codec for Bluetooth streaming. Yamaha’s MultiCast ecosystem stretches across much of its A/V product lineup, including its high-end Aventage CX-A5100 pre-amp/processor (not reviewed here). The AirPlay limitation is more significant: You can’t use AirPlay to stream to multiple MultiCast speakers at the same time; in fact, you can’t even access AirPlay from within Yamaha’s app (you must use iTunes on a Mac or Windows computer or on an iOS device). Apple is more to blame for that limitation than Yamaha, of course (and this Macworld article can tell you how to get around it if you’re interested). 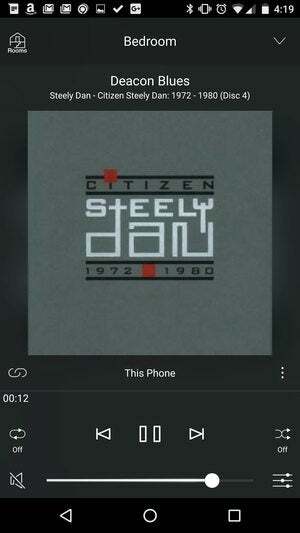 The MusicCast app can play music from the device it’s installed on, from any DLNA media server on your network, or from a short list of online music services: Rhapsody, Pandora, SiriusXM, Spotify, or vTuner (for Internet radio). On this count, Yamaha trails Sonos by a very wide margin because Sonos supports nearly every streaming service you can think of, including Apple Music, Deezer, Tidal, and many more. Yamaha’s WX-030 delivers great performance for the price. When it comes to file formats and audio codecs, on the other hand, Yamaha beats its rival in equal measure: A Sonos system is limited to streaming uncompressed WAV files or losslessly encoded tracks such as FLAC and Apple Lossless (ALAC) with 16-bit resolution and 44.1kHz sampling rates (48kHz is supported unofficially). MusicCast components can stream AIFF, FLAC, and WAV (PCM format) files encoded with up to 24-bit resolution and sampling rates as high as 192kHz; and it can stream ALAC files encoded with up to 24-bit resolution and 92kHz sampling rates. Both systems also support MP3, MPEG-4/AAC, and WMA files. Yamaha’s app is pretty, polished, and very easy to navigate. You can assign each speaker a unique name and choose from stock photos to represent the rooms you place them in. Processes such as linking rooms together, choosing sources (servers, streaming services, and what have you), and controlling each zone’s volume levels are intuitive and easy to learn. 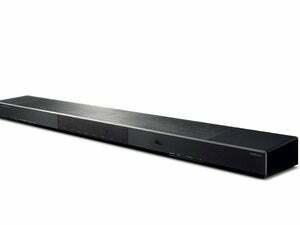 I wasn’t as impressed with the musical performance of Yamaha’s YSP-1600 sound bar. The MusicCast app’s biggest weakness—especially in comparison to a Sonos system—surfaces when you’re looking for music to play. The Sonos app has a universal search feature that will search across all of your music sources, whether they’re on a local server or on a streaming service that you subscribe to. Yamaha's app will search for music only on your phone. You must browse each of your other sources (a computer or server on your network, for instance) individually. If you’re looking for music stored on a DLNA server, for example, you must scroll through every artist’s name (the same is true if you’re browsing by tracks or albums). That can be a very slow process if you have a large music library. Scroll quickly and a small, blue speed-scroll button will appear in the right-hand margin. Touch this with your fingertip and you’ll scroll through your library even faster, but the app won’t be able to keep up with you—you’ll just see “loading” where the artist names should be—and you’ll have to wait for it to catch up before you can see where you’re at in your library. The Sonos app will not only keep up with you, it will helpfully display the first letter of the alphabet you’re scrolling past. Take a look at the screenshots below to see what I’m talking about. I’ve yet to see a multi-room music system with a better app than you get with a Sonos system. I streamed a number of tracks ripped from CD and encoded as 16/44.1 files, 16/44.1 ALAC, and 24/96 FLAC files acquired from Bowers & Wilkins’ Society of Sound service, and several 24/192 FLAC files purchased from Linn Records (although there are convincing arguments that such high-resolution recordings actually deliver less fidelity than if they were encoded as 16/48 files). In any event, the MusicCast was able to play everything, and the three speakers remained in sync (even while I was running my microwave). MusicCast can also stream up to 5.6MHz DSD (Direct Stream Digital, the the file format developed for mastering Super Audio CDs), but only on its MultiCast-enabled A/V receivers, Hi-Fi components, and powered monitor speakers. DSD streaming isn’t supported on Yamaha’s YSP-1600 sound bar or WX-030 wireless speaker. The MusicCast’s high-resolution streaming promises sound almost too good to be true, when you consider that streaming even just a 24/192 FLAC file requires more than 4.5Mbps of bandwidth. Yamaha gets around this limitation by playing high-resolution files only on the master speaker (the one used to initiate the stream). The rest of the speakers on the network play a stream that’s been down-sampled to 48kHz. That’s still very good resolution. There’s a lot to like about Yamaha’s MusicCast ecosystem, especially if you own other MusicCast-compatible components, such as one of Yamaha’s A/V receivers. As you’ll see in my review of the WX-030, that speaker sounds better than a Sonos Play:1, and it can go toe-to-toe with a Sonos Play:3. 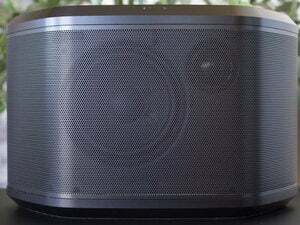 I haven’t reviewed Yamaha’s NX-500 powered speakers, so I can’t say if they’re better than the new Sonos Play:5. 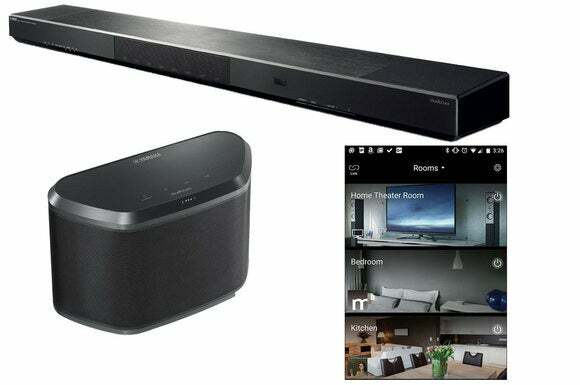 Yamaha’s MusicCast ecosystem supports Bluetooth and AirPlay (well, sort of) in addition to its own streaming protocol. 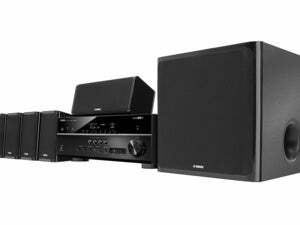 In some respects, Yamaha’s ecosystem is much broader than what Sonos offers. It supports Bluetooth streaming and AirPlay support, for instance. And higher-end MusicCast components can stream much-higher-resolution audio files than Sonos, including DSD files. In other areas, however, Sonos remains superior. Its app is considerably better, and its support for music-streaming services dwarfs what’s available on MusicCast. If you already own a Sonos system, you’ll find it hard to justify switching to MusicCast. If you’re choosing between the two platforms, Sonos has the superior wireless network, a better app, and vastly better streaming-service support. And Yamaha has no answer for the spectacular Sonos Sub (you can pair that with any of Sonos’ speakers, not just its sound bar). Yamaha wins in terms of its support for high-resolution audio and MultiCast support in many of its A/V receivers and discrete separates. In the end, deciding which system is best for your will depend on how you weight each of those categories. Yamaha’s WX-030 is a great little speaker, and the MusicCast ecosystem that it’s part of has some very attractive elements.